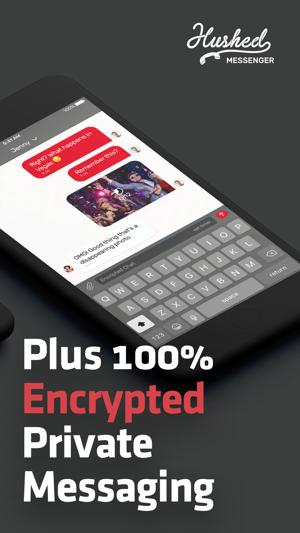 Hushed is the best private phone number app for ANY occasion when you need a different number to call and text with – get local numbers from over 60+ countries, make private calls, send anonymous texts, hide your caller id with a fake phone number, or even manage multiple lines for your personal or business life. ◆ Online Dating? Stay safe by adding a layer of security to your personal life with a burner number. Share your disposable number with dating app matches that you’re just getting to know or if a blind date goes wrong! ◆ Buying or selling on local classifieds? 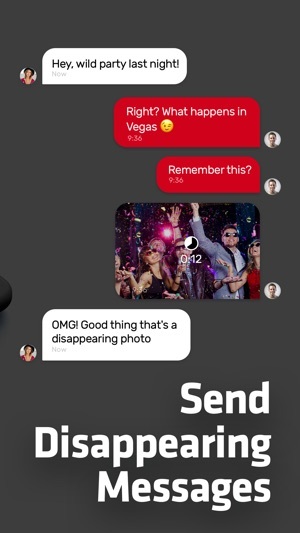 Get a temporary number to post on your ad and receive calls and texts on Hushed instead. Delete your number once the deal’s done! ◆ Entrepreneur needing a business number? Avoid carrying a second phone or sim card by adding an extra number to your device. Send business SMS and talk with customers by managing your business line or even multiple lines in one simple app. 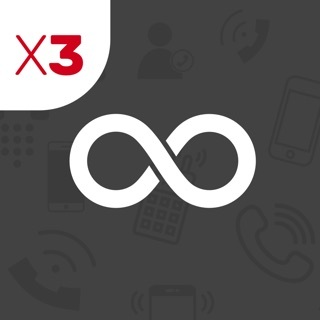 ◆ UNLIMITED calling and texting in North America - Choose from 1 & 3 Line Subscription Plans to get phone numbers from US or Canada with UNLIMITED talk and text. Call minutes and SMS messages with anyone in North America! 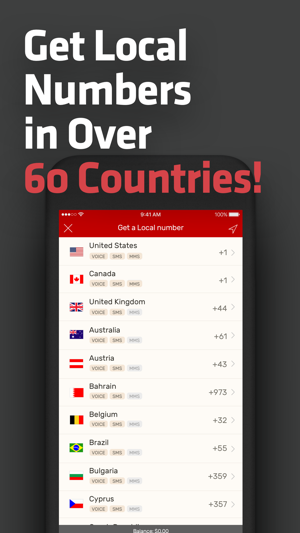 ◆ Local numbers to choose from in over 60+ countries – US, Canada, U.K., Australia, Spain, Mexico, Brazil, and more! ◆ Flexible Prepaid (7/30/90/365 Day) and Pay-as-you-go plans to suit any temporary or long term need. Extend, delete, and top up numbers at any time! ◆ Our 1 & 3 Line auto-renewing subscriptions apply to all U.S. and Canada numbers & include UNLIMITED calls and texts within North America. Sign up yearly and save up to 20%! ◆ Payments are charged to your iTunes Account at confirmation and will automatically renew unless auto-renew is turned off at least 24-hours before the end of the current period. Renewals are charged within 24-hours prior to the end of the current subscription period at the original subscription price and term. ◆ You can manage your subscription at any time (and turn off auto-renew) by going to your iTunes Account Settings. Cancellations do not apply to the active subscription period and refunds will not be provided for the unused portion of the term. I have used this app for about two years and used to really love it - it is the perfect way to organize communication with my students’ parents in a way that’s from my phone but also a helps me keep that communication a little more private and organized. The texts and contacts work well, and you can even attach pictures. 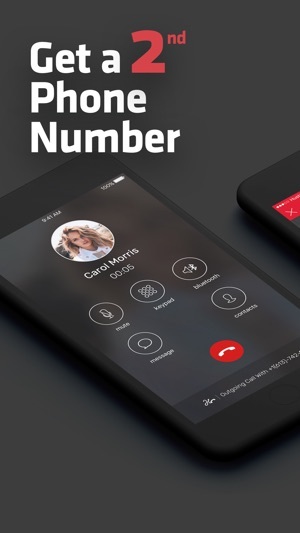 Sometimes calls seem to go straight to voicemail, but outgoing calls are easy to place. I unfortunately had a really bad experience where, for a month, I was logged out of my app (even though it was during a year I’d paid for already). 3 emails to customer service were ignored for weeks, and during that time I missed calls and texts for work. When I tried to submit a help request through the App Store, it said that my account had been blocked. After one more email, a really helpful tech person finally responded and was able to help me log back in. All my contacts were still there, luckily! The tech person was able to extend my number to make up for the inconvenience and check on the security based on where the app was used - that was an awesome response! I’m really grateful that I eventually received help and can use the app again! In general, it has worked well for the past two years. I hope this past month (and the long delay in getting help) were just an exception - I hope to keep using this app in the future! Hey we are actively trying to locate your specific email now as our initial search hasn't located the email we believe you would have sent but are very concerned about this issue. Would you be able to email us again today referencing this review? We really want to see this issue resolved and want to ensure we can locate the correct email thread to do so. The idea behind this app is great. It reminds me of my google voice number. Just a few differences. This one I have to pay for (but it is affordable) whereas google voice is free. All my messages and calls go through on google voice as far as I know and I’ve been using it for about 6 years. For some reason I have had several calls drop and text messages that never get delivered on this Hushed app. This is disappointing as I am using it for my personal business and have no idea how many prospective clients are attempting to call or text me and not getting through. I don’t want to lose clientele because I never heard from them and they think I just never got back with them. I plan to give the app another month and see if all my messages and calls are going through both ways. If so then I will keep it and I love the app but if I keep having undelivered messages and dropped calls then I will just add a second phone line to my plan and cancel the app. Not worth the money if I am losing clients due to the ineffectiveness of the app or if I’m making a user error. I used this for two plus years, it was really great for separating work (I run my own strictly-platonic cuddle business), giving number to tinder dates when I was still unsure about them, and also for when I meet new people and I don’t want them to have my long time cell#. I also use it when I travelled, it helped having a local number for Uber when I was abroad. Recently, my account was blocked and customer service has not responded with a reason why. 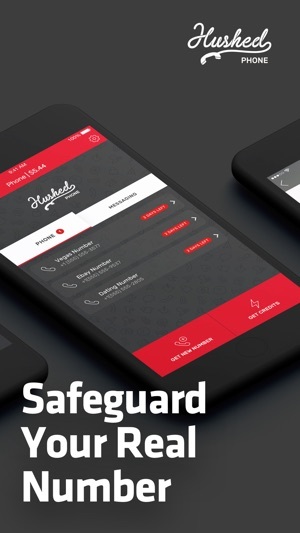 I really did enjoy this app, it made me feel safer in my dating life as well as made traveling really convenient as well. Before being blocked, I recently began to receive calls from Spanish speaking telemarketers although I never used this number when signing up for sites. I’m giving 3 stars because it really is a great service, but removing 2 because the inconvenience of losing important numbers there. It’s my fault for not saving the numbers, I just really didn’t see my account being blocked coming. I wish there was a way to retrieve my call/text logs at the very least. Edit: THEY SAY TO SPEAK WITH SUPPORT SND THEN SUPPORT DOESNT RESPOND TO THE EMAIL. BACK TO ONE STAR. Good Afternoon, The quality of our app is very important to us as it is to our user base and take this responsibility very seriously. Any violation of our Terms of Service is something we monitor and work to prevent. If any user believes an error has been made we are always happy to work with them at support@hushed.com.